Delia Mitchell is a beauty and wellness blogger, based in NYC, who is passionate about holistic wellness. She Started her blog Mixed Ego, formerly, Delialicious Picks, in 2010 focused on fashion and beauty, and was chosen as a finalist for Allure Magazine’s “Beauty Blog of the Year” Award in 2012. A long-time IBS, acne and eczema suffer, Delia was able to heal her symptoms by switching to a plant-based diet and avoiding harsh chemicals in beauty products, leading her to evolve her platform in 2017 to share her transformative journey, and teach people how they also could adopt healthier food and beauty products. Her blog and social media content includes natural beauty brand reviews, plant-based food creations and fitness inspiration, as well as advice on how to live more sustainably. Formerly, Delialicious Picks, Mixed Ego launched in 2010 as a blog fixated on fashion and beauty, and was chosen as a finalist for Allure Magazine’s “Beauty Blog of the Year” Award in 2012. See my top product recommendations on Amazon here. FUN FACT: The blog was launched on Halloween, hence the black and orange-gold color scheme. 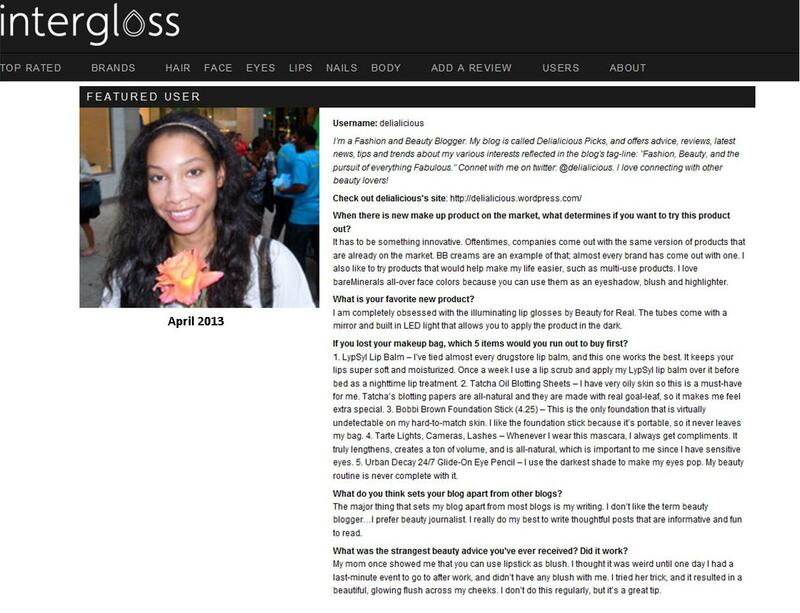 Delialicious Picks was chosen as a finalist for the 2012 Allure Beauty Blogger Awards. Click on the image to read my bio on allure.com.